So explained multi-talented missionary Margaret Dryburgh as she stood before her fellow prisoners and introduced the very first performance of the women’s vocal orchestra in a prisoner-of-war camp in Sumatra. 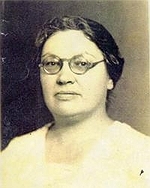 The idea of a vocal orchestra was conceived by her fellow internee and Royal Academy of Music graduate, Norah Chambers. The date was 27 December 1943, some twenty months since they had first been imprisoned by the Japanese. By this point in their internment the women were experiencing terrible cuts in their already woeful food rations, malaria and dysentery were rife across the camp, and energy levels and morale were very low. It was Norah’s hope that this new vocal orchestra would transport both its audience and its singers beyond the confines of the camp and help to give them some of the strength they would need to survive the nightmare of captivity. Singing to survive. This was by no means the women’s first foray into entertainment. 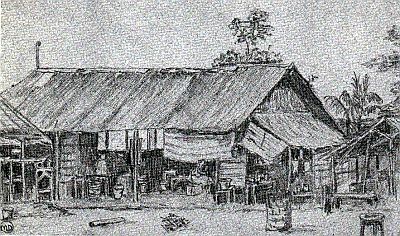 In their previous camp – a compound of houses and garages in Palembang – there had been sing-songs, glee nights, country dance classes, even a fashion show. Sunday services, led by Miss Dryburgh (she was rarely if ever referred to by her first name in the camps as a mark of respect), in Garage 9 had become a weekly highlight for many. On 5 July 1942 attendance was rewarded with the very first performance of The Captives’ Hymn, a beautiful, uplifting masterpiece that she had composed herself and first sang with Shelagh Brown and Dorothy MacLeod to the gathered internees. 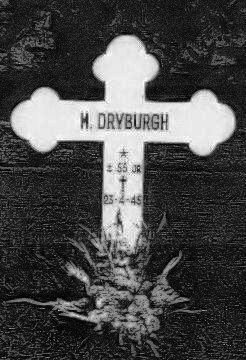 Throughout her captivity Miss Dryburgh was a vital source of spiritual and musical sustenance to her fellow prisoners and was cited by survivors of the camps as a beacon of hope during their long ordeal. Soon after the debut of The Captives’ Hymn, Miss Dryburgh joined forces with Norah Chambers to further contribute to the camp’s various music groups and events, with the former arranging the harmonies and the latter writing out the manuscripts. As Norah Chambers later remembered of her musical collaborator: ‘You could go to her, hum a tune and straight away she could write it down and harmonise it,’ while Chambers’s own skill was in copying the sheet music at great speed. In the early months of 1943, after the women sought to celebrate their first Christmas in camp, with the choral society providing as much festive cheer as they could muster, the stresses and strains of camp life started to tell. Increasing ill health and further cuts to rations (which Margery Jennings described in her diary as ‘not enough to feed a mouse’) had a serious affect on the women’s morale, but worse was yet to come. In September, the women were moved to a barracks camp that had previously held their male counterparts and was therefore referred to as ‘the Men’s Camp’. Some 600 women and children were held in this new camp. British, Dutch, Australian and 21 other nationalities were all crammed into a deeply insanitary compound with over 50 to a hut and 27 inches of bed space each. Margaret Dryburgh’s initial reaction to Norah’s scheme was: ‘Ooh! I’m not sure if that will work, but let’s give it a try’ and together they set to work. They condensed complex works, taking main themes with the right modulations and harmonic changes, then weaving them into miniature works – complete in themselves. It was total collaboration. Norah chose the works they could try and Margaret worked most of them out with Norah doing those she did not know (such as Ravel’s Bolero) or when she ran into difficulties. A concert was planned for 27th December 1943 to mark their second Christmas in captivity. Among the singers in the vocal orchestra were Norah’s best friend in the camps, Audrey Owen; Norah’s sister, Ena Murray; Shelagh Brown and Dorothy MacLeod who had been part of the trio to first sing Margaret Dryburgh’s The Captives’ Hymn; British nurse Olga Neubronner; Dutch sisters Antoinette and Alette Colijn; Dutch nun, Sister Catharinia; three Australian nurses, ‘Mickey’ Syer, ‘Flo’ Trotter and Betty Jeffrey; and Sigrid Stronck, a Dutch mother of two. In this way the orchestra united different nationalities in the camp as the music they learned together helped to break down barriers. ‘We do not profess to reproduce the effects or quality of stringed or reed instruments, but as the lovely melodies and harmonies of the Great Masters greet your ears you may imagine you hear them’. Despite the threat briefly posed by the arrival of several guards, who rather than calling a halt to proceedings, elected to stay and listen instead, the programme went without a hitch and concluded with Auld Lang Syne, which proved an even more appropriate ending when, due to popular demand, the entire concert was repeated in its entirety a few days later on New Year’s Day. However, after the third concert on 17 June 1944, recorded in Margery Jennings’ diary as ‘not as good as before’, presumably due to further weakened state of its members, the orchestra did not perform again. 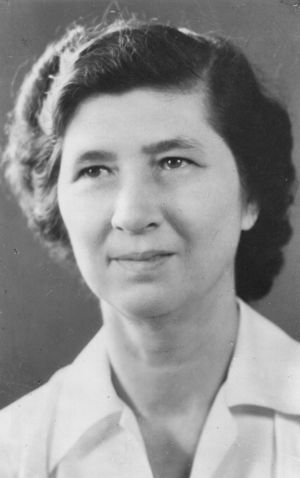 Margaret Dryburgh, who had played such an important role in so many camp activities, not the least of which was her wonderful contribution to the musical life of the camps, died in April 1945, shortly after their arrival at their final camp. 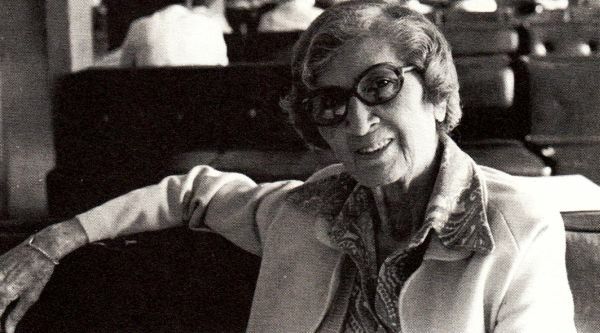 Norah Chambers however was to survive the war, along with several members of the vocal orchestra, and would not only live to see the music she had worked on in the camps with Margaret published, but in the Eighties also performed in the United States and the Netherlands. Later the music would also be performed across Australia. 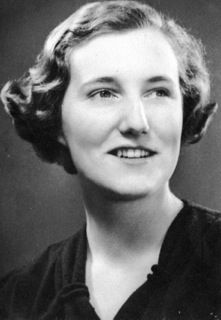 In October 2013, as the 70th anniversary of that first concert approaches, British voices will give a performance of the vocal orchestra material, as well as recounting the incredible story of the two inspiring British women, Margaret Dryburgh and Norah Chambers, who collaborated to bring hope and the will to survive through music. They may no longer be with us (Norah Chambers died in June 1989) but their inspirational work lives on today, an anthem for triumph over adversity. References and acknowledgements: This history of the Vocal Orchestra, written by Andy Priestner, contains excerpts from the following books: ‘Women Beyond the Wire’ by Lavinia Warner and John Sandilands; ‘White Coolies’ by Betty Jeffrey, and ‘Song of Survival: Women Interned’ by Helen Colijn. It also benefited from information, suggestions, and corrections gratefully received from Diane Whitehead, Cara Kelson, and Shelagh Lea’s daughter, Margaret Caldicott.